Bring a little magic into your life with this beautiful guide to the World of LEGO® Harry Potter™! Delve into the enchanting details of the LEGO Harry Potter sets and minifigures. Explore all your favorite locations and characters from the Wizarding World. 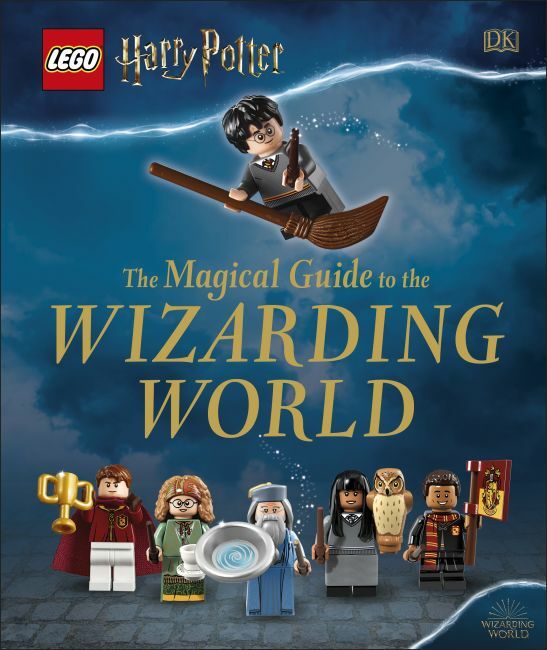 In LEGO Harry Potter The Magical Guide to the Wizarding World, each page brings to life a different scene, character or magical object from the world of LEGO Harry Potter. Catch the Hogwarts Express from platform 9 ¾ then join in the Sorting Ceremony in Hogwarts' Great Hall. Meet Harry Potter, Ron Weasley and Hermione Granger. Join them as they explore the castle, hang out in the Gryffindor dormitory, and attend magical lessons. Learn all about the LEGO Harry Potter minifigures, including Hogwarts students and teachers such as Luna Lovegood, Neville Longbottom, Severus Snape, Professor McGonagall and eccentric headmaster Albus Dumbledore. Discover amazing magical creatures, like Fawkes the phoenix, Hedwig the snowy owl and Aragog the giant spider. Read all about Lord Voldemort and the Dark Arts. Discover mysterious objects hidden in Hogwarts, such as the Mirror of Erised and Dumbledore's Penseive. Young fans will enjoy reading all about their favourite characters and locations, and fans of all ages will love poring over the magical details. With beautiful photographs on every page, the LEGO Harry Potter The Magical Guide to the Wizarding World is the perfect gift for any fan of Harry Potter and LEGO bricks alike. HARRY POTTER characters, names and related indicia are © & ™ Warner Bros. Entertainment Inc. Publishing Rights © JKR. (s19). ©2019 The LEGO Group.